The boys started strong against Avon and had a few strong scores like 151 from junior Thomas Giedd and 174 from senior Steven Good. The boys bowled well for their first match of the year but have a strong match tonight with Hamilton SE at Woodland. Our boys started the first frame with a star frame. I had told them if they do that I would buy them cokes so had to go to the store tonight and empty the fridge. We had several boys that stepped up. Junior Zach Konvolinka bowled his best match ever with a 178, 188 and senior Steven Good bowled156, 159. Rookie Hector Jiminez came in the second game to give BC their 3rd point bowling a 137 in his first match! We have some real talent and I am looking forward to the rest of this season. Next match is next Wed. 11/7 at Hindel Bowl. The boys started out a little slow but caught fire the second game getting all of our 8pts. Junior Hector Jimenez bowled a 158, also junior Zach Konvolinka bowled a 176 and senior captain Steven Good bowled a 201 to finish the night out. Both Steven and Zack bowled a “Turkey” which means they bowled 3 strikes in a row! We are definitely competitors this year. We are mainly veterans but even our rookie bowlers have learned quickly and have made a great contribution. The Trojans bowl Monday at Brownsburg against Cathedral. 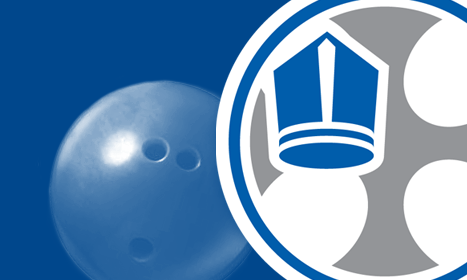 If you can’t make it to Brownsburg Bowl, please say a prayer for our bowlers. Junior Thomas Giedd was on fire yesterday bowling 158, 205 and junior Zach Konvolinka bowled a 174 to give the Trojans a near win. We struggled the first game against our northside rivals the Irish but came back and were winning most of the second game but lost steam at the end. It was a close one. Still proud of my boys just need to work on endurance more and we will “take the banner”! The boy were in position round last Saturday. They bowled 10 games each bowler bowling 2x per game. We took 3 1/2 games, tying one game. The boys were firing on all cylinders tonight against the Brebeuf Braves! Our Trojans won every point in the first game, beating each of their opponents and taking the game toppling the Braves by over 100 pins. Junior Thomas Giedd was on fire with a high score of 176 and in the second game a 172. Other members of the team scored career highs giving us our first win of the season. In the first game, we bowled our highest team score for a game at 780 combined points. We showed that we are contenders and can finish the season strong if we keep going this way. Next match is at Woodland Bowl on Thursday against the Brownsburg Bulldogs at 5:30. Come out and cheer on your Trojan Bowlers! 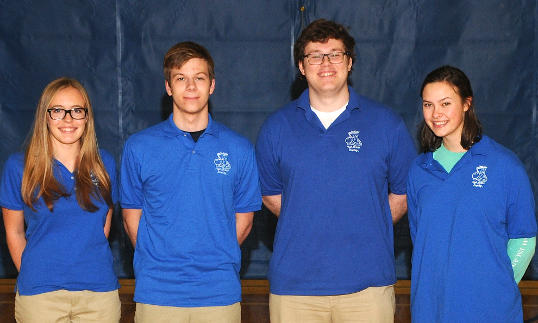 The Trojan Bowlers were once again firing on all cylinders! This is the first time in 10yrs we have won back to back matches. 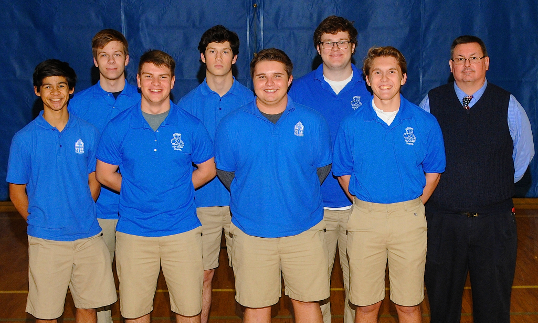 Junior Thomas Giedd led the team with a 183 and 143, Sam Peck scored a 140, 151, Zach Konvolinka scored a 158. Erik “the Admiral” Bowes bowled a 176 and 159 to put us over the top against the Carmel Greyhounds. I am so proud to see the team step up fill in when needed. We have some sectional contenders this year! The Trojans bowl against the No.1 Ben Davis Giants next Monday. This will be a true test of our skills. I look forward to teaching the Goliaths of Ben Davis what the Davids’ of Bishop Chatard can do with the right weapon! Junior Hector Jiminez scored our only whole point but Erik Bowes tied with his opponent for our 1/2 point. We bowled the number one Ben Davis Giants but held with them in both games until the end. The Trojans bowled tough. The girls did fine for their first match. Maggie Corn bowled extremely well. The Lady Trojans bowled the No.2 Brownsburg Bulldogs tonight and stayed with them but could not get the fire up. Senior Izzy Corns gave BC their only point with a 127. Daniell Harr was on fire tonight scoring 2 pts for the Lady Trojans and junior Olivia Gzibovski and senior Claire Hawkins bowled a 129 to give us two more points. The girls did not have a bench to back them up so they struggled through two tough games. They started out with a win and then started to run low on steam but did not give up. Proud of our girls. We should be back to full strength on Monday when we bowl the Ben Davis girls. The girls are struggling but did tie the Lady Giants. Juniors Danielle Harr, Olivia Gzibovski and Maggie Corns and senior Izzy Corns gave the girls points. Olivia gained two points for us and Maggie Corns bowled a 174, her highest game score. We are improving all the time and bowl again on Sat. 11/17 at Sunshine Bowl. The girls tied against Brebeuf. This was a position round where we bowled 10 games. Each bowler bowled twice each game. The girls tied. Junior Maggie Corns and Seniors Claire Hawkins and Izzy Corns lit the Lady Trojans up winning the first game by 40 pts and scoring in the 140s. They just could not come back in the second game to win. The girls played hard against the Ritter Raiders and are improving all the time. Next match is at Woodland Bowl on Thursday. Juniors Olivia Gzibovskis and Danielle Harr received points for the girls team. They bowled a 132, 149 respectively. The girls are struggling but improving. Their practice scores are way ahead of the game scores, we just need to sync them. The Lady Trojans bowl next on Monday in Brownsburg. Senior Claire Hawkins bowled amazing last night with her highest score of the season with a 175 and then 145. 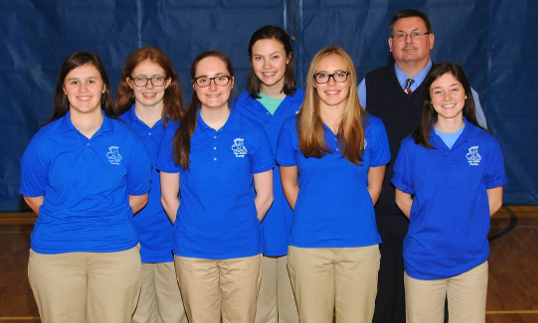 Junior Olivia Gzibovski bowled a 167 and Maggie Corns bowled for 2 points with a 146, 145. Great match girls!! !